The Gladstone is wheelchair accessible. We respectfully acknowledge that this concert will take place on unceded Algonquin land. 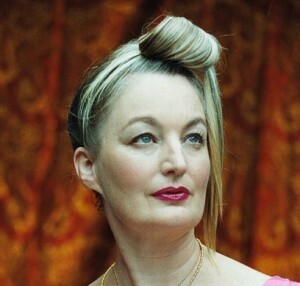 Jane Siberry is known and admired as one of contemporary music’s most innovative and courageous artists. Her unending desire to find and describe the essence of human experience has led her through numerous musical inventions and incarnations, earning her the passionate loyalty of music lovers worldwide. A disinclination to follow fads, trends and fashions has been her hallmark from the earliest days of her musical career. The Edinburgh Press noted that Jane “fills the hall with astonishing, spiritually-charged music” and “had the audience breathless, in simple awe”. The London Times referred to her as “spellbinding“, and Melody Maker has called her a “genius.” She has collaborated with Brian Eno, Peter Gabriel, Emmylou Harris, The Indigo Girls, Ferron and many others, and her songs have been covered by numerous artists, including k.d lang. Jane learned piano from the age of four, developing her own concepts of musical structure and notation. Later, after initially entering a music program at the University of Guelph, she graduated with a degree in the Sciences. After an early album achieved gold status and established her as a Canadian pop star, she began to receive international attention. Her original and adventurous musical vision motivated Brian Eno to produce tracks on her album “When I Was A Boy”. The song “Calling All Angels”, a duet with k.d. lang, garnered worldwide acclaim. Rhino Records released “Love Is Everything”, an anthology and tribute to Jane’s work. In 2005, Jane received the Victor Martyn Lynch-Staunton Award for “Outstanding Artist in the Field of Music” from the Canada Council for the Arts. In 2006, Jane relinquished most of her possessions – including her home and her musical instruments – and changed her name to “Issa”. “I felt I had to change or die,” she says. After three years of spartan living, she re-assumed the name “Jane Siberry” and returned to international touring and recording. Her latest studio recording, tentatively entitled “Consider The Lily”, is scheduled for release this year. NOTE: For reasons we do not understand some iPads are unable to complete the ticket purchasing transaction. If you experience this problem please use a desktop computer instead. Fill out the credit card authorization form. Online bookings are now closed for this event. Tickets can still be purchased at the door.